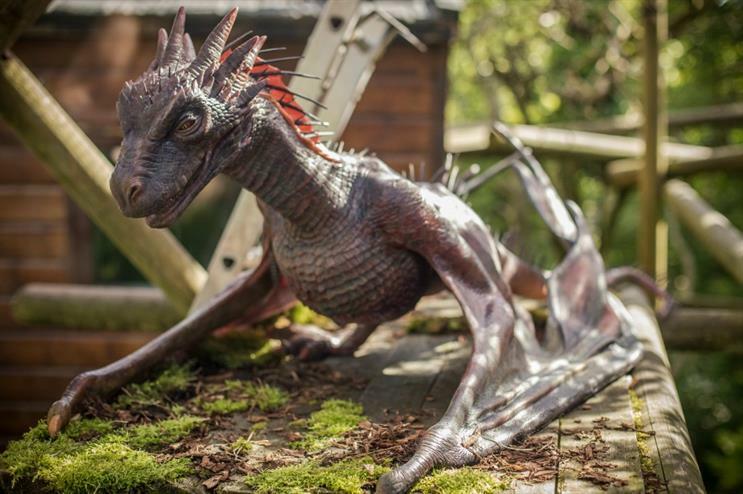 Tourism Ireland has announced an animatronic dragon will arrive at Belfast Zoo today (9 June) as part of its partnership with TV series Game of Thrones and network HBO. The infant male dragon, which is operated by two controllers, will be housed in a specially designed enclosure. He currently sports a 10-feet wide wingspan, but when fully-grown, his skull alone will measure up to 23 feet. Later today, visitors to the zoo will be able to watch the dragon’s feeding time, as well as a check-up with a vet. Mark Challis, Belfast Zoo manager, said: "We’re thrilled to have such an exceptionally rare creature here at Belfast Zoo. This dragon is an important addition not only for us, but for Northern Ireland as a whole. "Despite their fearsome reputation and fabled ability to burn entire cities to ashes, we’d like to reassure the residents of Belfast that our keepers have received expert training, and we’re looking forward to seeing him thrive in his new environment." The installation marks the finale of Tourism Ireland’s campaign with HBO, which aims to promote Northern Ireland as the home of Game of Thrones and capitalise on the rise of ‘screen tourism’. Other stunts featured in the campaign include the perching of three-eyed ravens on top of signs around the country and St George’s Market in Belfast selling ‘live’ dragon eggs among fruit and vegetables.